By identifying so strongly with others, Diana used soft skills to help others to identify with her and this is something that we can all strive to achieve. Born 1st July 1961 Diana was loved the world over. 750 million people watched Lady Diana Spencer marry Prince Charles on July 29th 1981 and over 2.5 billion mourners said goodbye on 31st August 1997 whilst watching her funeral, which was broadcast to over 60 countries. Here we consider the soft skills style secrets that made Diana such a beloved figure. A shy teenager, plucked from obscurity and a menial position in a kindergarten in Pimlico to the position of Princess of Wales. We know of course, that this portrayal of Diana owes more to fancy than fact. Diana was the daughter of John Spencer and Frances Roche, the Viscount and Viscountess Althorp. Diana’s father later became the Earl Spencer. Diana was already in possession of a title of her own as she worked as a nursery school assistant, namely Lady Diana, her father having inherited the peerage by this point. Born The Honourable Diana Spencer, she grew up on the Sandringham estate and was the recipient of a finishing school education. Yet, despite an elevated position in society, even before her marriage, Diana chose to not differentiate herself in this way, showing a wealth of soft skills that endeared her to the public from day one. Diana said “I see myself as a princess for the world, not the Princess of Wales” and when we consider that from 1981 onwards, Diana became one of the most famous, photographed women in the world, that she was able to encourage the public at large to view her as ‘normal’ or with a kind of ‘special ordinariness’ is actually rather amazing. Diana said: “I want my boys to have an understanding of people’s emotions, their insecurities, people’s distress, and their hopes and dreams”. By identifying so strongly with others, Diana was able to help others to identify with her and this is something that we can all strive to achieve. As you take each rung up the ladder, the further away you can become from the hopes and dreams of the people that you represent, becoming so far removed from the reality of their day to day struggles that you can no longer empathise or understand. Distance does not have to be a by-product of advancement. It could never be said that Diana had an easy life; from a tumultuous childhood, to the well documented troubles of later life, what is apparent is that through it all, Diana never sought to hide her flaws, saying “I wear my heart on my sleeve”. Undoubtedly, Diana was in possession of that elusive quality whereby a person is at once enigmatic yet also eminently real. In the office, a person lucky enough to have this quality will be intriguing, they will always have an interesting story to share and will not be above telling the odd anecdote at their own expense. Try too hard to present an impenetrable façade and you may find that people are simply not interested enough to dig deeper and find out more. 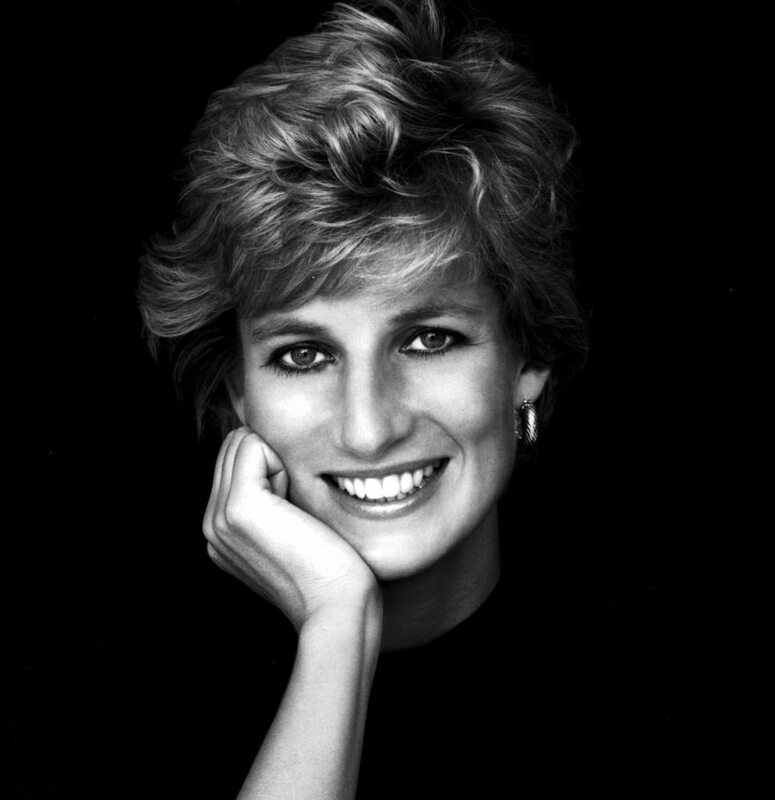 Diana was patron of over 100 charities and was known particularly for her work with AIDS and landmine charities, saying “nothing brings me more happiness than trying to help the most vulnerable people in society. It is a goal and an essential part of my life – a kind of destiny”. Whilst charity work was certainly a core part of Diana’s role as Princess of Wales, it was a choice to support the underdog and this endeared others to her greatly. Diana said “I want to walk into a room, be it a hospital for the dying or a hospital for the sick children, and feel that I am needed. I want to do, not just to be”. At work, we can take the easy route, thinking of what is easiest for us or we too can choose to support those that need it. Princess Diana was so unexpected; titled but normal, royal yet accessible, not a single academic qualification to her name but qualified to speak on behalf of millions of marginalised people. Diana understood that it is not what you are but what you present yourself as that matters. Tragically, Diana died aged just 36 triggering a huge outpouring of grief for the Lady who touched so many hearts. If there is one thing that we can learn from Diana it is this, people respond instinctively to soft skills, they are what make us inherently human.